Applications are invited from eligible Indian citizens (Male & Female) for filling up vacancies for the Non-Gazetted & Non-Ministerial post of Head Constable (Education & Stress Counsellor), Group ‘C’, on temporary basis likely to be permanent in Indo-Tibetan Border Police Force. Candidates Should be Between 20 years to 25 years old As on 23.10.2018 i.e. last date of receipt of application. Candidates not be born before 24/10/1993 and not be born later than 23/10/1998. The Information about the relaxation of upper age limit for SC, ST, OBC, Ex-Servicemen and other categories is Provided on the Below Detailed Advertisement. Male candidates belonging to General (UR)/OBC category applying for recruitment to the above post should pay Rs. 100/- (Rupees One hundred only). Fees are exempted for females, Ex-servicemen and candidates belonging to Scheduled Caste, Scheduled Tribe. Candidates Can Submit the Online application fee through online payment gateway system on the ITBP Recruitment website www.recruitment.itbpolice.nic.in. 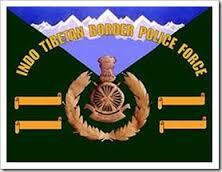 Candidates should only apply online through ITBP Recruitment website www.recruitment.itbpolice.nic.in. No application will be accepted offline. Candidates are advised to fill the online application form after reading the instructions carefully & Check Their Details Before Submitting the Application Form. Application Started 24.09.2018 at 00:01 p.m.
Last Date of Application Submission 23.10.2018 at 11:59 pm.